It’s going to take a miracle now. When we first heard of Justin Morneau’s head injury, the thought was “yeah, a few days as a precaution.” Then came the trip to the disabled list and it was “okay, you don’t want to mess around with concussions, let’s give it a couple of weeks.” Then weeks turned into months; a 15 day DL turned into a 60 day DL. Yes, we were told from an early point that concussions were serious business — and that this could take months and even cost Justin the season. The Twins are (rightfully) taking a thoroughly enlightened approach to let Justin come back only when the time is right. Yet we have hoped. We always held out hope. Even now, as we see the Automatic-Garage-Door-of-Hope closing fast, we still stare at the gap and wait for Justin to roll through, like a Canadian Indiana Jones. Maybe he can be a bat off the bench in the ALDS. If the Twins advance, maybe he’ll be ready by the ALCS. Well, the A.L. Central is clinched and we’re two weeks away from the playoffs. Even if Justin’s bad days were suddenly to be diagnosed to be behind him, there’s still the rehab. The minor leagues have shut down. But maybe, just maybe, we are in the trying moment just before the miracle occurs — Roy Hobbs staring at his broken bat, Kirk Gibson limping in the locker room. I apologize to my Very Catholic Mother that I did not think of this earlier. But as she taught me, when you need a miracle, you turn to the Patron Saints. My first thought was the obvious: St. Jude, the Patron Saint of Desperate Cases. But in doing some research, I learned there is a Patron Saint of Head Injuries. * For the miracle I am seeking, I’m going with specialization, and will go with Saint John Licci. * My research also pointed out that there is a patron saint of hangovers (St. Vivian). Why didn’t I know this in college? Of the miracles attributed to St. John Licci, there are three incidents of curing people whose heads had been crushed in accidents. Hence, he is known as the Patron Saint of Head Injuries. To see Justin in the playoffs, I think it’s time for Twins fans to turn to St. JoLi. I figure it can’t hurt and it just might help Justin Morneau. And this might work out well for St. John Licci too. You see, despite the “patron saint” designation, John Licci isn’t officially a saint. As near as my quick internet research can tell (Google’s search archives don’t go back to the year 1511), his followers dubbed him a saint but he’s never been officially canonized by the Catholic church. This is sort of like St. Bert of the Holy Curveball being in the Twins Hall of Fame, but not in Cooperstown. Officially St. John Licci is only “beatified”. * Perhaps a new miracle might push him over the edge to sainthood. In comparison to his attributed miracles of ressurecting a dead boy, curing a paralyzed man (when St. JL was an infant!) and providing perpetual food for a poor widow and her six children, the healing of a concussion of a multi-millionaire first baseman might seem a bit trivial. But if Justin was to come back and have a big post-season, a new and well-publicized miracle might bring some attention back to his previous impressive work. If a few Cardinals (no, not Pujols and Holliday) catch wind, they just might check into what can get done. *Sainthood is Catholicism’s equivalent of the Hall of Fame, equivalent right down to the disputes over what standard should qualify. It helps to have a penultimate level in a hall of fame. Cooperstown should look into a beatification process — a place for the not quite Hall of Famers, Hall-of-Famers-but-for-steroids-or-gambling, and designated hitters (though it would be tough to keep from canonizing a guy nicknamed Big Papi). Official saint or not, he’s a holy man (and holy cow, he lived to be 111!). And he’s the guy to talk to about head injuries. 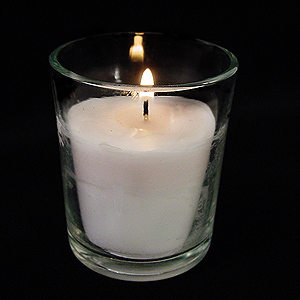 So tonight, I am going to light a votive candle and beseech the intercession of St. John Licci to cure Justin Morneau’s concussion. As I said, it can’t hurt. Now, is there a Patron Saint of Catcher’s Knees? This entry was posted on September 22, 2010 at 9:20 pm	and is filed under Minnesota Twins and Baseball. You can follow any responses to this entry through the RSS 2.0 feed. You can leave a response, or trackback from your own site.